I simply put together four of my favorite ingredients – nourishing and healthy with an exotic finish. 1Bring a pot with 3 cups of salted water to a boil. Add the kale and cook it for 4-5 minutes. Take it out from the water, pat dry and chop it finely. 2In the same pot with hot water, heat off, place the ½ cup frozen baby green peas and leave it for 10 minutes, just enough to make the peas round and juicy. 3Bring a pot with 1.5 cups of water to a boil. Lower the heat to simmer. Add a pinch of salt and I tablespoon butter and ¾ cup basmati rice. Mix well. Cover the pot with a lid and cook for 10 minutes stirring occasionally. Turn the heat off. Leave covered for another 5 minutes. 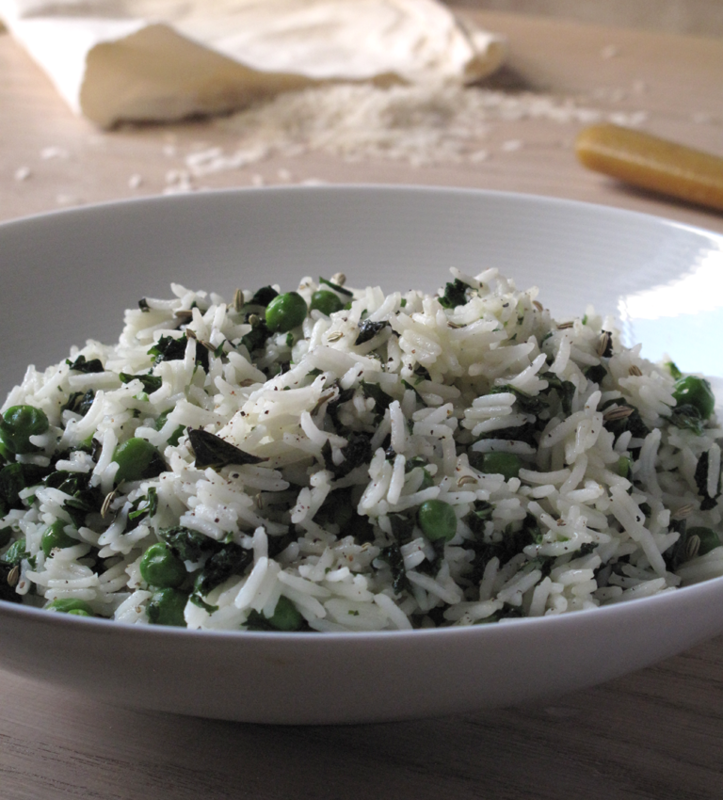 4In a mixing bowl add the rice and combine it with chopped kale, diced fresh mint, baby green peas and ½ tablespoon fennel seeds. Drizzle some extra virgin olive oil and gently mix all the ingredients.